Beyonce is on her way to Sunderland. Coldplay, Beyonce, and Bruno Mars performed a set of their chart-topping hits during an energetic and colourful performance at the Super Bowl. The British band opened the half-time show with lead singer Chris Martin kneeling on the field at Levi's Stadium in Santa Clara, California singing the first lines of Yellow before transitioning into Viva La Vida. The Denver Broncos and Carolina Panthers left the field before it was turned into a Glastonbury-inspired set, complete with flowers and flags as the band performed their single Paradise accompanied by a youth marching band and colourful umbrellas. 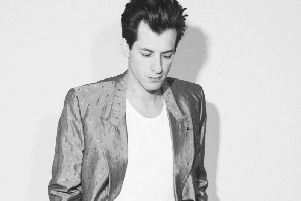 British DJ Mark Ronson was next to hit the stage with Bruno Mars for a rendition of Uptown Funk before Beyonce appeared on the field with a team of dancers to perform her new single Formation for the first time. She released the song and video unannounced just a day earlier. The singer narrowly avoided falling during her energetic dance routine. She visibly lost her balance but composed herself in time to continue with the performance without missing a beat. After a dance battle between Beyonce and Mars, the pair were joined by Martin for a final chorus of Uptown Funk before Coldplay re-claimed the stage to perform Fix You. The song accompanied a montage of clips of half-time shows from previous Super Bowls, including performances by Michael Jackson, Stevie Wonder and U2. The show concluded with fireworks and the message Believe in Love spelled out on a rainbow background over half of the stadium seating. The Broncos returned to the field to beat the Panthers 24-10. The 50th edition of the Super Bowl kicked off with a passionate performance of the American national anthem by Lady Gaga. The Grammy-winning singer sported a sparkly red trouser suit with wide flares and red, white and blue striped platform heels. Her make-up also matched the colour theme, with glittery red eye shadow and blue nail polish. The American football game drew numerous celebrity fans, including David Beckham and his son Brooklyn, Michael Douglas and his wife Catherine Zeta-Jones and singer Justin Bieber.